Throughout the tutorial, we present cell stores with analogies with the spreadsheet world. In fact, cell stores are nothing else than spreadsheets running against a database backend. This section quickly summarizes this analogy. It is intended as a quick reference and can be skipped on a first read. For users used to spreadsheet software such as Microsoft Excel or Apple Numbers, the following table shows a rough correspondence between the two paradigms. A spreadsheets contains sheets that contain tables that contains header and data cells. Likewise, in the cell store world, an archive contains sections that contain components. 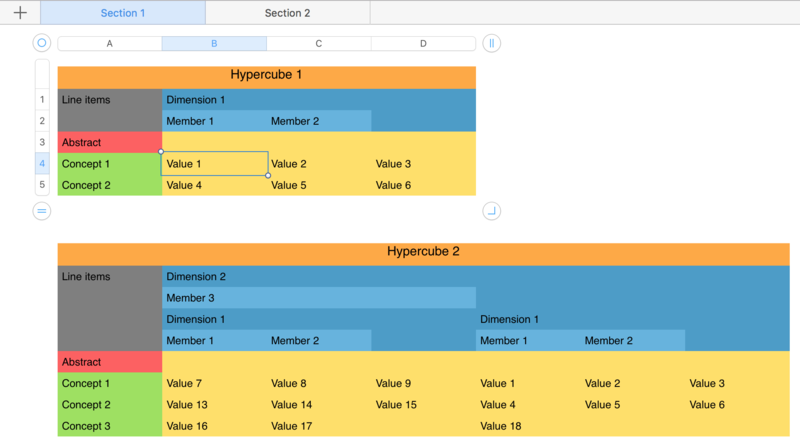 Component metadata is made of report elements (concepts, abstracts, line items, dimensions, members, hypercubes). Report elements correspond to header cells in Excel. Component data is made of facts. To make the comparison of components with Excel sheets easier to understand, here is a very simplistic representation of how these report elements, together with facts, would be displayed in a spreadsheet. The picture shows two components that are in the same section. 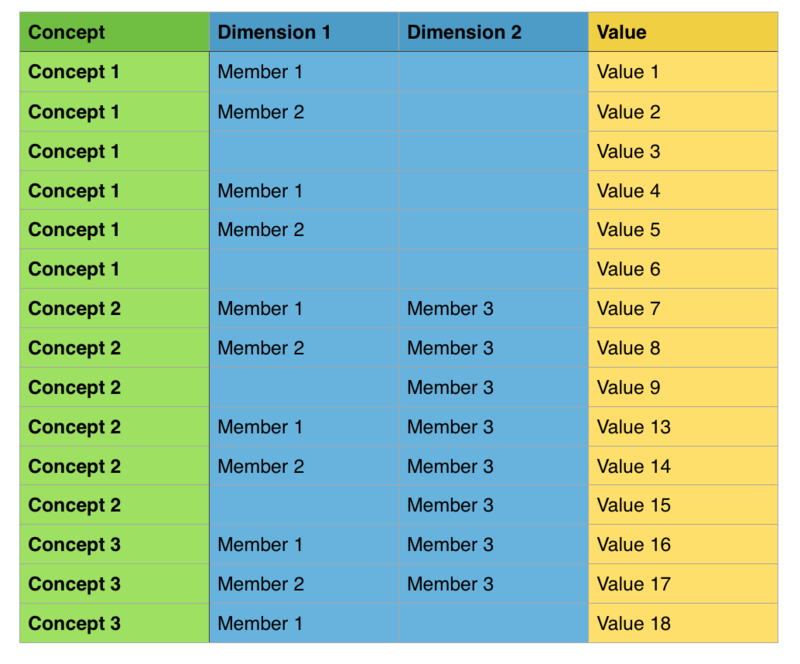 Below is the fact table representation of this same spreadsheet. Typical spreadsheet software such as Excel are able to convert it automatically to the view above (pivot table).